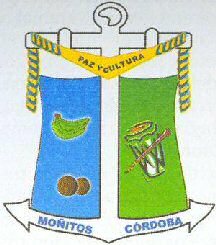 The flag of the Municipality of Moñitos in Department of Cordoba, Colombia, is presented at <www.cordoba.gov.co>. "white stands for peace; blue stands for the Sea and green stands for the land. 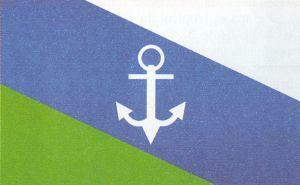 The anchor symbolizes artisanal (traditional) fishing".